I can feel it. I can sense the opinion when folks who've known my health journey run into me. I see it in my husband's eyes. I pick up on it when my daughters walk into the bedroom where I'm changing. Or perhaps it's my perception, based on the woman I see looking back at me in the mirror. I'm familiar with body dysmorphia, or the mental illness involving obsessive focus on a perceived flaw in appearance. Geesh, when I was a teenager obsessed with how fat I was, I had no idea it was considered a mental illness. I was obsessed with being thinner because I had so many folks telling me how big I was, fat, my stretch marks disgusting and if I could get paid to eat I would, because I loved food. Words spoken led to my mental illness? Who knows? I don't care. I stand here today, seven months from forty, knowing WHY I see who I see, although in my mind I'm not her. In my mind, I'm someone strong. I've chosen to not fixate and obsess on a number, be it weight, BMI, body fat percentage or the like. I've chosen not to measure my worth by the size of my pants. I've chosen not to ground my identity in my appearance. Rather, I've chosen God. I chose to fixate on the countless number of Scripture telling me I am God's and who HE says I am. I have chosen to measure my worth according to what His written and spoken word says about me. I have decided my only identity is found in Him. According to Him, I am His beloved. I am a wife. I am a mother. I am a teacher of His Word. I am an encourager to others. I am a facilitator of healing that flows from Him. In Him, I am light and love. My weight, size and shape do not impact who He says I am. Have I let myself go? No, I've let God. I have allowed Him to firmly root me in love, His Word, and His truths. Do I advocate being at an unhealthy, disease fostering, weight? No. I advocate holistic health in spirit, soul and body. I advocate being a physically healthy vessel of God, able to serve, go and minister wherever He may call one to go, at any capacity He may call to do so. Conversations with the Lord lately have revealed a release to again become more healthy (beyond my weight and these lumps, I am fit as a fiddle! ), build muscle again, lean down again, return to an optimal BMI and body fat percentage (for me), again. He has spoken to my heart, experimenting with Beyond and allowing others to witness my transformation will support the theory: balancing the seven areas DOES reflect Christ - causing others to SEE His transformative power, be amazed and place their trust in Him as well! Also, with a couple medical mission trips on the horizon, He needs me to be physically well and fit, in order to serve others well. For now? One day, one step at a time. The next step is ensuring my body is healthy and without disease. After that, the Lord will continue to lead me in the areas of nutrition, fitness and rest, while maintaining my relationship with Him and His call on my life as first priority. Ladies, you are WHO GOD SAYS YOU ARE. Be encouraged to get into His Word and see what He has to say about you and His love for you. Let your self go and LET GOD. I know you’re busy… I know you have so much going on… I don’t want to take your time… I don’t want to overwhelm you… I know you have a lot… Coming from people I love and care for deeply. I want you to know my heart. Whenever I share ALL that God is doing, it is NEVER to communicate that I am busy. It is simply to communicate what He CAN do through a willing vessel. Have I been battling and fighting? Yes. I have. The enemy has his knickers in a knot and I sense him breathing down my back more than I like. But guess what? That is exactly where he belongs, behind me! I recently went through an intense several days; thoughts and comments coming at me from all directions, tempting me to throw in the towel – in more ways than one. But it wasn’t because I am too “busy”. It is because powers and principalities in the unseen realm were raging, and I was the target. My tribe, whom I love dearly, prayed for me. Some, God tapped directly on the shoulder, and they called others to intercede. I needed it. I needed to be fought for, because I was weak and stumbling. This isn’t new. This happens. Simply read Nehemiah 4:18-20 for a great example. 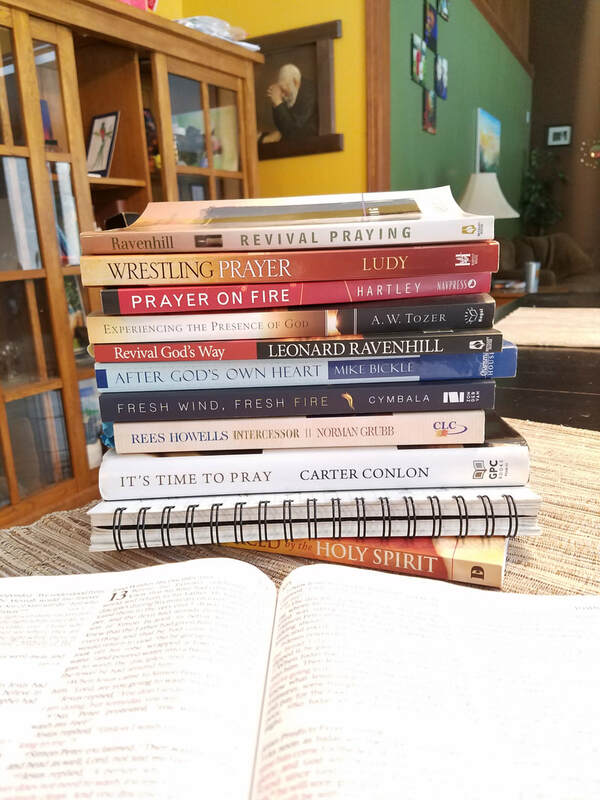 As one called by God to lead, there is a wrestling and discerning on what to share, and what not to share, when it comes to personal challenges. My conviction? I have to communicate my weaknesses. I have to communicate my struggles – past and present. Otherwise, you and any other woman reading this, might inaccurately conclude I am sharing from an “ivory tower”. A tower where I couldn’t possibly relate to the depths of your pain, places of shame, wore torn battle fields, and struggles. I DO relate. I relate because those are the places I come from. Those are the places I find myself somedays now, as well. I recently saw a post that suggested busy is an acronym for “Being Under Satan’s Yoke”. Woah. That will stop you and challenge your thoughts. Won’t it? Doesn’t that seem a little dramatic and excessive? It might be. However, consider what Hebrews 4:11 states, “Let us therefore strive to enter that rest, so that no one may fall by the same sort of disobedience.” Our striving should be to enter the REST IN JESUS. Does this mean I was striving outside Jesus? I don’t believe so. Matthew 28:19-20 instructs us to Go therefore and make disciples of all the nations, baptizing them in the name of the Father and of the Son and of the Holy Spirit, 20 teaching them to observe all things that I have commanded you; and lo, I am with you always, even to the end of the age.” Amen. What then does this rest mean, then? With where I find myself today, I take it to mean rest in Jesus Christ, allowing His Holy Spirit to flow through our mind, will and emotions, so God’s will comes to pass on earth as in Heaven, and Matthew 28:19-20 is lived out. Monday – deliver a message during our weekly gathering reminding our community that God is a WAYMAKER and we are making a way for Jesus Christ to enter the lives of others and pray for Holy Spirit baptism for a Sister in Christ. Tuesday – connect with a gal in another community with similar vision and Spirit filled dreams. 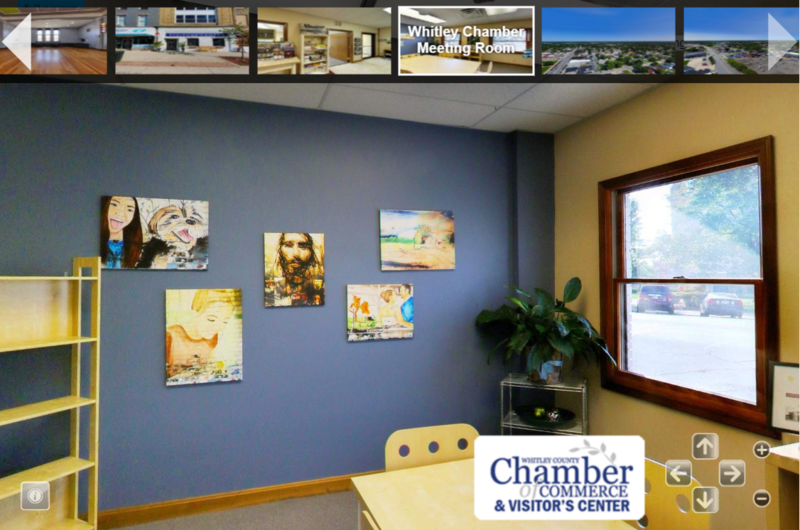 Wednesday – Mentor another gal challenged in her leadership role, seeking council. Thursday – Join with nearly forty other women to encourage, support and inspire for 2019 and pray for a Sister in Christ wrestling with thoughts of suicide. Friday – Continue to join forces and network with others in the community with a heart for prayer and worship. Throughout every single day and in between, spur on and encourage my husband, daughters and others I love deeply, throughout their day, as they wrestle and war the same powers and principalities I contend with. RESTING IN JESUS, LIVING OUT THE GREAT COMMISSION, AS HOLY SPIRIT LEADS. You can bet the enemy was throwing a tantrum. The Lord’s yoke is easy to bear and the burden I give is light, we read in Matthew 11:30 – and this is exactly how I felt resting in His promises and divine appointments – AFTER the battle – a battle and spirit of heaviness that could never come from God. You, my friend, are in my life for a reason. You will never be viewed as a burden, stressor or distraction. As I shared with a sweet friend on the phone last night just before our weekly gathering, whomever is right before me, is right where God needs me to be. He will cause us to rest and balance, when we ask Him to. He will also fight our battles when the war is raging. Praise God, He is good and His faithful love and mercies endure FOREVER! ​Where do I even begin? This morning I am rejoicing! I couldn’t go to sleep last night. I tossed and turned. The faces in the room, the voices in unison around the reckless love of God, I standing deeply rooted in who I am and who God has made ME to be – it’s nothing short of a miracle, one that has been progressive and began six years ago today. Six years ago today, I found myself on the bathroom floor in my place of employment – convinced it was my time to die. Convinced I would never see my then eleven and eight year old daughters again. I was convinced I had failed them and was not leaving behind the best for them. My shirt was up and off, men and women gathered around me hooking things up to my body, while I lay on the floor asking for my brother to come in and pray with me before I left. Remember, I was at work. It was quite possibly the most horrific experience in my life. But it was a wake-up call. The emergency room staff assured me I was fine. I was possibly stressed from the holidays, although it was noticed my heart rate was erratic and my potassium levels extremely low. The anti-convulsion medicine the emergency responders had given me seemed to calm me on the way to the ER. However, in the hospital it began again. My husband by my side, I begged him to call my former Pastor’s wife – my spiritual mother – SHE could pray me through this! Instead, I received another drug, rolled out to the car in a wheel chair, and crashed until late evening. These episodes continued on for DAYS after. Christmas came and I wondered if I would get through. I was grateful to have another Christmas with my family, and grateful God seemed to be giving me more time. I was told I was anxious and needed to relax, quit worrying. I believe I was even diagnosed with panic disorder. Huh? I had a lot going on in my life, but how in the world can your mind cause your body to respond in such an intensely terrifying way? I wasn’t convinced, but what followed was text book. ​All of 2013 All I could seem to do was sit on the couch and watch the world through Facebook and Pinterest, growing a little angry with God, wondering if this was what my life was going to end like. By 2014 the episodes had dwindled to one a month or so, anxiety medication, and other prescriptions seemed to make things worse. I kept sensing I needed to quit all medications and focus on Scripture, clean eating, and exercise. With my doctor’s approval, I did. Live Eat Sweat was born in the fall. 2015 I focused on fitness and my marriage. We had separated twice over the course of a couple years. Yes, as a Christian, Jesus loving, woman. God had to make it clear to me divorce was not to be in my vocabulary. We completed two Spartan races together, the sprint and super, he completed the Beast. That fall, I hosted the first LES 45 challenge, where we focused on Scripture, Whole30 foods, and exercise. 2016 I hosted a second and third challenge, became connected with medical missions at work, and began to think about LEGACY – and the imprint I sensed God was calling me to leave with my family and community. Rise Up! Devotions was composed; initially for our daughters and then for other women with the same stirring in their heart. 2017 Self-published five books (with the help of an amazing assistant), supported three mission trips in Dominican Republic and Guatemala, prayed for our community weekly for six weeks leading up to October 9th where I hosted a prayer event, became a Bible app contributor, invited to be a part of an art exhibit with Jesus at the center, and formulated the Rise Up Commitment. All of which were steps of faith and saying YES to the Lord’s leading. 2018 This year I have hosted two Rise Up Commitments (where thirty-six women’s lives have been impacted), launched a podcast, self-published three more books, and have been given opportunities to apply the skill set learned in this ministry, in my career in orthopedics and medical missions. Medical missions that will next year likely take me to Guatemala, Honduras and possibly Ecuador. ​​Last night, I stood in a room with thirty-seven women, twenty-six of which I had never met or connected with before. We worshiped in a coffee house in our community, and belted Reckless Love like we just didn’t care – and we didn’t – there was a sense God was there with us! 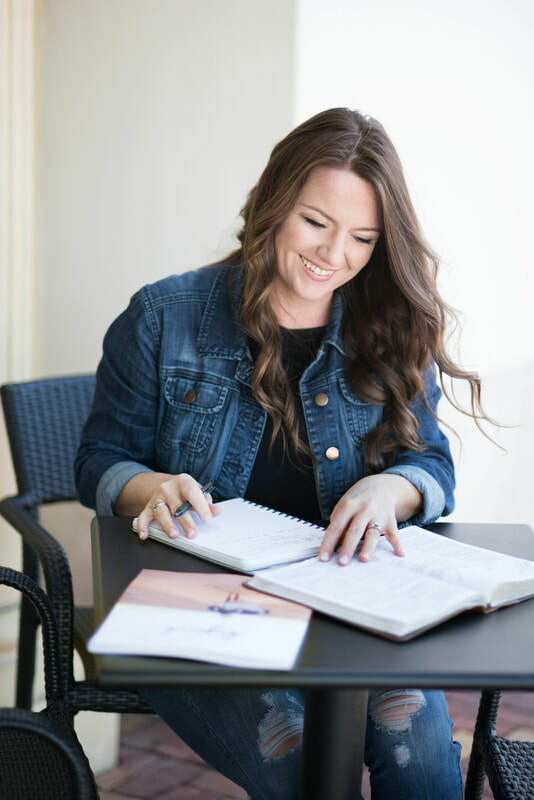 ​With the ladies ready to learn more about Rising Up & Going Beyond, I shared snippets of the details shared here, only a portion of the journey God has led me on the past several years. Please don’t assume it has been a walk in the park. There has been heartache due to changing relationships with family and friends, skin cancer, car accident, breast lumpectomy, wrestling with self and old habits, trusting God in my marriage, transitioning to life with teenagers – to name just a few of the challenges. This place I find myself today has not been without a fight. BUT GOD! 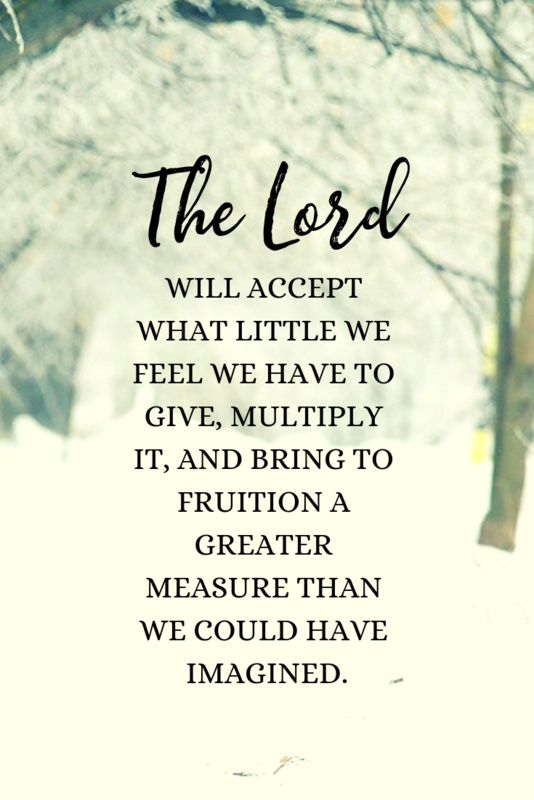 He WILL ACCEPT WHAT LITTLE WE FEEL WE HAVE TO GIVE, MULTIPLY IT, AND BRING TO FRUITION A GREATER MEASURE THAN WE COULD HAVE IMAGINED. 1. 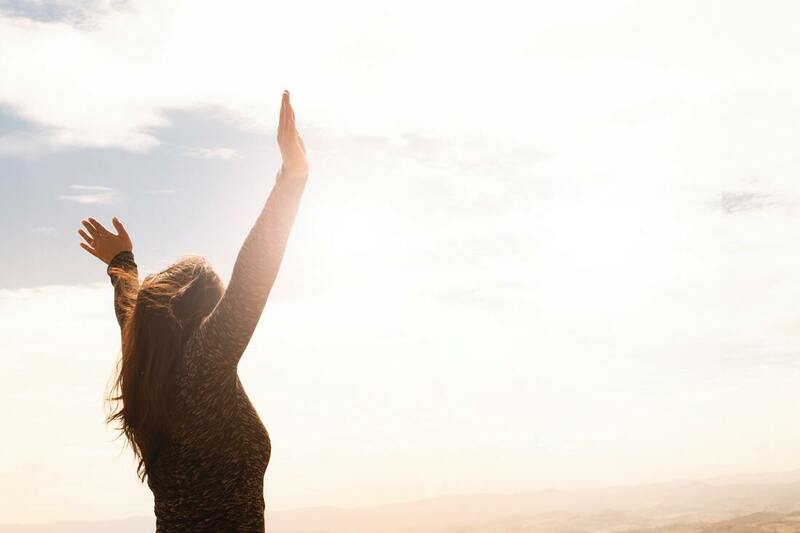 Give GOD ALL THE GLORY for taking this apparently panic riddled woman whose only future appeared to be rotating sides of the couch, to where He has me today – firmly rooted in Jesus Christ, focusing less on self, sharing with you, and ministering to others. Psalm 115:1 Not to us, O Lord, not to us, but to your name give glory, for the sake of your steadfast love and your faithfulness! 2. Revelation 12:11 shares… You will overcome by the blood of the Lamb and the words of your testimony. The past six years have not been easy, not by a long shot! There have been battles with self, sin, enemy tactics, and preoccupation with the opinions of others. Sharing HIS goodness along the way – NOW – empowers the overcoming and hopefully INSPIRES THE SAME IN YOU! 3. Psalm 40:3 states: He has given me a new song to sing, a hymn of praise to our God. Many will see what he has done and be amazed. They will put their trust in the LORD. AND PLACE YOUR TRUST IN THE LORD! This is my prayer; this is my heart’s desire! To be a conduit that connects YOU to every last ounce of God’s goodness, so you too can live freely in His love for you, going beyond where you find yourself today. If fear, anxiety, panic, worry, or apprehension has taken over your life - there is FREEDOM to be found in Jesus! His perfect love CASTS OUT ALL FEAR and will send you places you never knew you were meant to go!! If at this very moment, you find yourself without Jesus Christ in your life – will you consider reaching out and allowing me to pray with you? I know God has an amazing future for you if you will simply take one step towards Him, and allow Jesus in. If you’re reading this and you have been wandering, feeling lost, hurt and broken with Jesus as Savior, will you also reach out and allow me to pray for you? I know God is eager to rush right to you, give you direction, purpose and hope, while healing your wounds and broken heart, all to lead you into ALL the promises He has for you. If you’re reading this and Jesus is both your Savior AND Lord, but you’re feeling drained and dry due to religion, will you reach out? I know Jesus desires to restore love and life to your relationship with Him. If you’re reading this and you’re GOOD, praise God! I want to encourage you to continue to press in and press on to an EVEN GREATER MEASURE of the Lord’s goodness! There are STILL promises He has for you that far surpass what your natural mind is able to imagine. ​Finally, if you are not connected with a community where you are challenged and encouraged to grow and be transformed, I pray God lead you right where you need to be so YOU can go BEYOND in YOUR faith journey to becoming whole in spirit, soul and body – all to reflect JESUS to the world around you. A community of other women is priceless in this world. A community of PRAYING, SUPPORTIVE, ENCOURAGING WOMEN with Christ at the center, is divine – and necessary to walk out our faith in this life. It was a Sunday evening just over two years ago when I received the call. He was a middle schooler in our community. Bright eyed, enjoyed sports and loved going to his youth group. I committed to prayer. My daughters joined me on the bed in my bedroom and we began to pray. I began to weep. I couldn’t imagine. As Monday rolled around, I was still in shock. If I was in shock, how was Payton’s mother, Ann, feeling? I cannot imagine. She began to lay heavy on my heart. I continued to pray. Wednesday morning, I made my way to the middle school for the weekly Campus Life meeting. The atmosphere was somber as class and team mates rolled in, heavy with the weight of their emotions, questions and feelings. The young men seemed softer, the young girls in disbelief. We broke out into our small groups. The girls cried. I asked the grace of God to help me comfort. As the day went on I had Owen, Payton’s younger brother, Ann, the middle schoolers, and our entire community on my mind. I was led to go to the heart of our county and lift everyone up in prayer. A couple girlfriends, their kiddos, my kiddos and myself joined on the lawn and prayed for Ann, Owen and our community. We prayed for comfort for all wrestling with the pain and hurt. As the viewing rolled around, my heart was tugged to go and give Ann a hug. Even though I didn’t know her all that well, this mamma had to put her arms around another mamma experiencing the unthinkable. I went. I sat with other women pouring into her. We left. Life went on. People found their new “normal”. The kids and community healed. The report seemed to change. But it didn’t matter. A young man full of light and love had lost his life and there was a mother and younger brother, as well as a father and others experiencing the void of his presence. Fast forward one year and a couple months later, to December 2017. Ann wanted to be a part of a small group I was encouraging. You know that moment where you KNOW that you KNOW God simply needs you to say "yes"? I had that moment. There was no doubt, no question. God had moved others and myself to pray and intercede on her behalf. He was moving others and myself to minister and encourage her. Throughout the first few months of this year, our small women’s group witnessed Ann transform right before our very eyes. She went from a woman sometimes unable to do anything but cry and lament the loss of her son, to, in her own words, “Have HOPE again.” I share this not to pat anyone on the back, but to GIVE GOD THE GLORY for the deep healing work He did in her life through a loving and praying community. Just around the corner was an enemy ready to steal, kill and destroy the hope she had laid hold of. Bit by bit, life became overwhelming again, the memories of Payton she would never create were vivid, the sadness paralyzing. Slowly she began to disconnect and things began to slip. One evening in late summer, she and I went for a walk around the high school. She shared she was tired of being under the dark cloud again, and ready for change. With the fall women’s group just ahead, I invited her to once again connect with us. She did. She came the first night with a restored joy and glimmer in her eye. She was not the same woman who sat before me earlier this year. 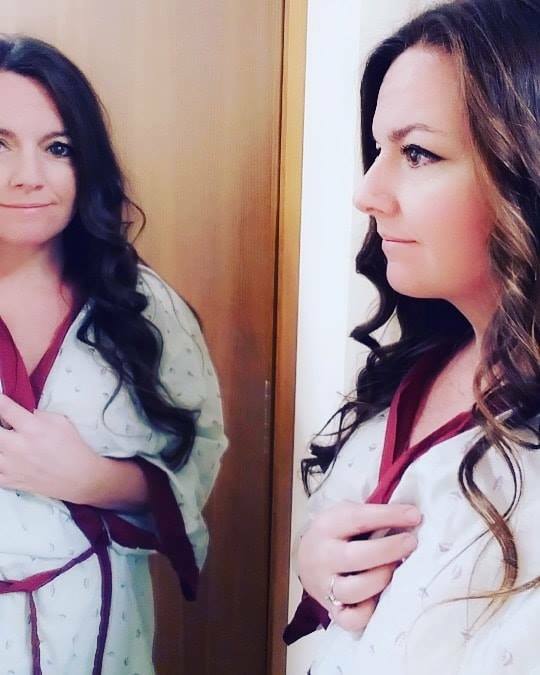 SHE had become a conduit of hope to others, finding herself one evening going between hospital rooms of two friends in need. God had TRULY transformed her mourning into JOY. She continued, week after week, sharing, opening up – expressing the deep wounds and pains related to the loss of Payton. She shared her hope of being able to minister to others. This evening, the dark cloud is back and appears darker, blacker, thicker and heavier than ever. She will tell you the truth, she let things slip and she feels horrible for it. She saw, even experienced, hope again. But the enemy was very crafty at causing her to believe things will never be better - she shouldn't have hoped. Hope is again gone. For those of you reading, I ask you two things. First, please pray fervently for Ann and Owen’s future. I believe God has a glory on the other side of this unthinkable pain and heartache. Second, consider donating to help bring financial relief during the Christmas season – A SEASON TO LOVE even more those around us than we do all year long. You can can donate via Go Fund Me, by CLICKING HERE. Payton found join in Christ's love, giving to others and making people smile. We all remember him for his generosity, kindness, and love for Christ. His life made an impact and spread a ripple that can still be seen. Payton's true legacy will come from the ripples of our lives and the choices to serve. The effects of your simple acts will provide a light and positive impact in our world. This blog and related fundraiser have been created with permission from Ann. If you would like to send your love, prayers, and good vibes, feel free to comment.